Have you guys heard of Brit + Co? It's a super fun blog that offers inspirational content, Do It Yourself kits, and online classes! 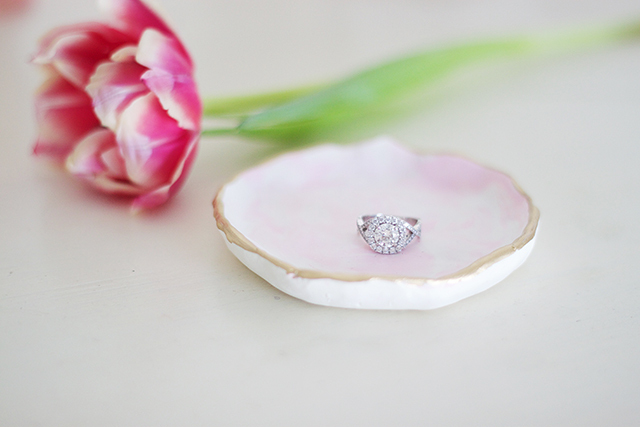 Brit + Co has teamed up with Rocksbox, my favorite subscription box EVER, to create this adorable DIY your own jewelry tray kit. I was able to test it out and see how it worked, so I could share the results with all of you and here it is! 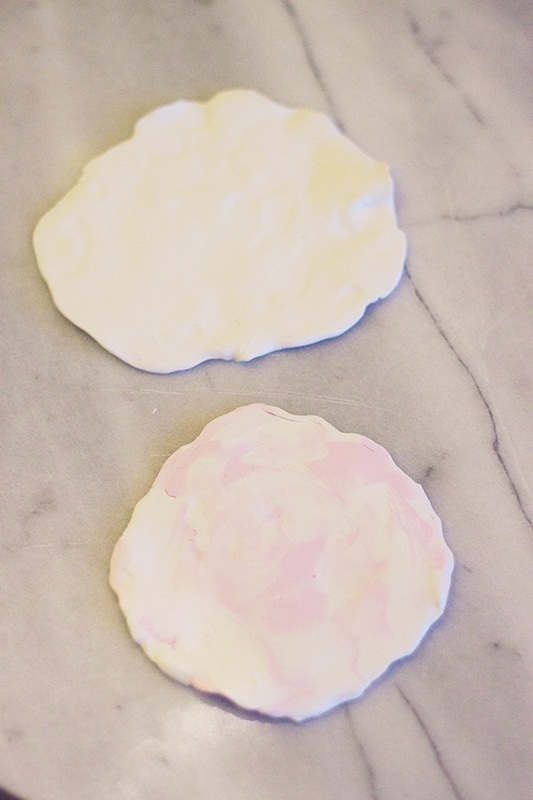 It was fun to make, super easy, really relaxing (have you ever played with clay or playdoh?! 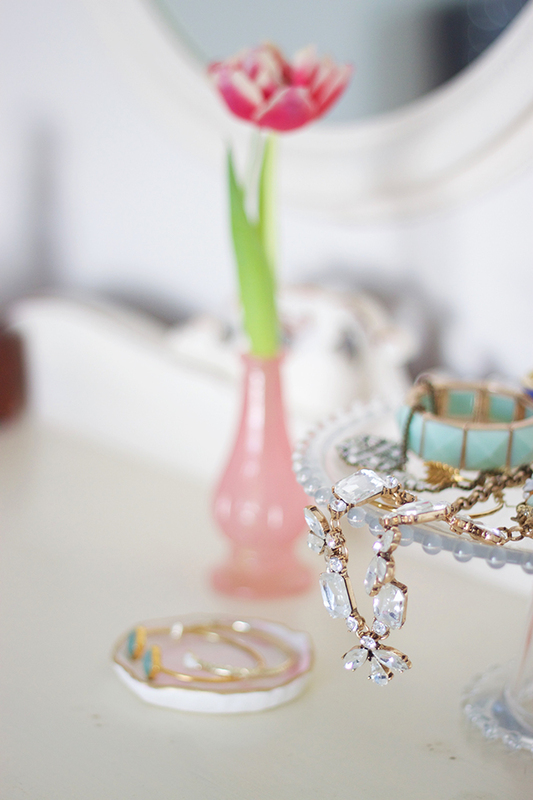 So soothing) and I have myself a really cute jewelry tray. 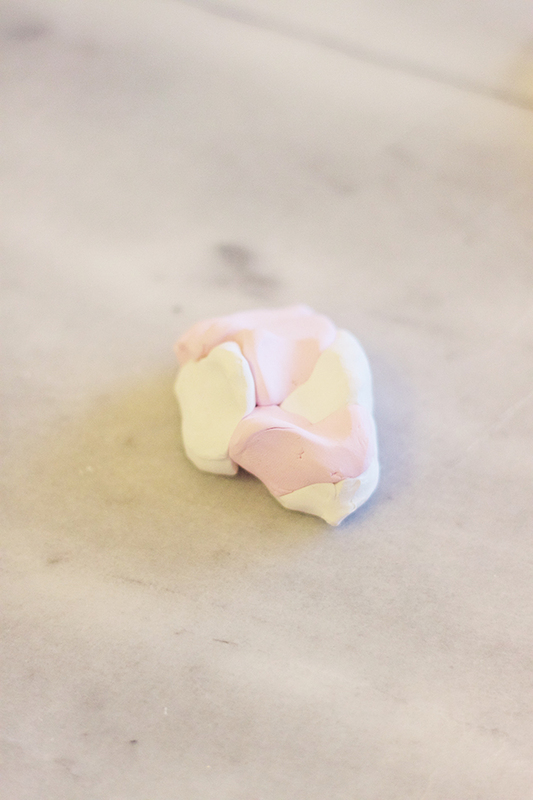 Break off one section of white and one section of colored clay and twist them around each other. Keep twisting and kneading your clay until you have an evenly dispersed, marbled pattern and flatten it into a circle measuring about three inches in diameter. 2. 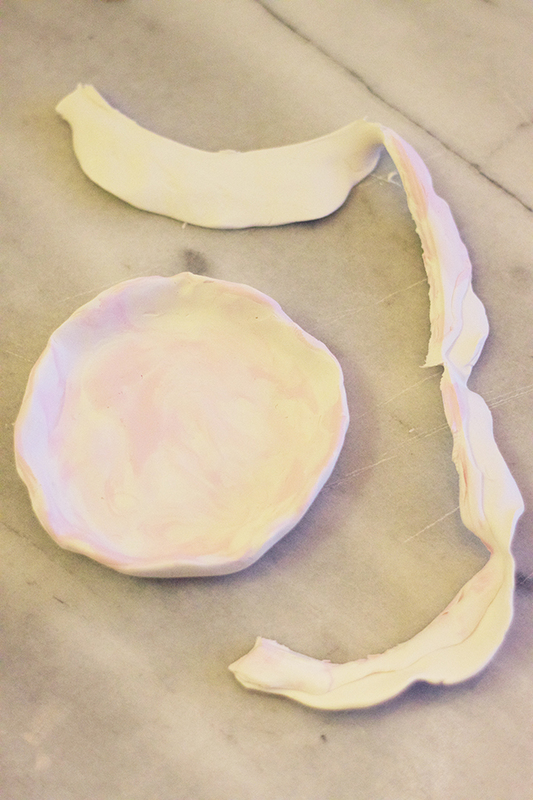 Grab one more section of white clay, flatten it into another circle of about the same size and layer it underneath your marbled circle. 3. Using a butter knife, carefully trim off the uneven edges of your two-layer clay circle and then pinch the edges of your clay circle upwards so that it forms a lip all the way around. 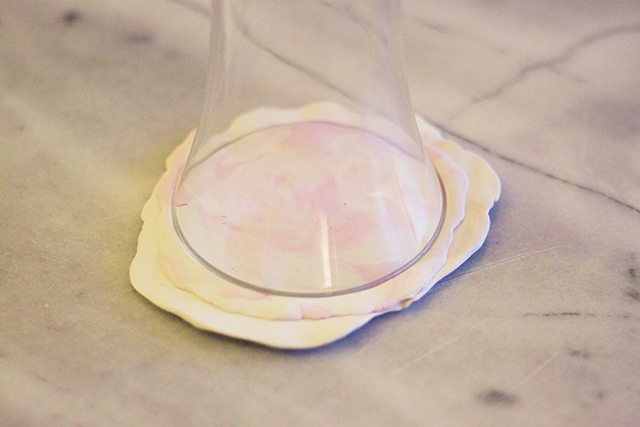 I found that pressing it with a round vase helped me cut a more perfectly round circle. 5. Bake in a 275º F oven for about 25 minutes. 6. 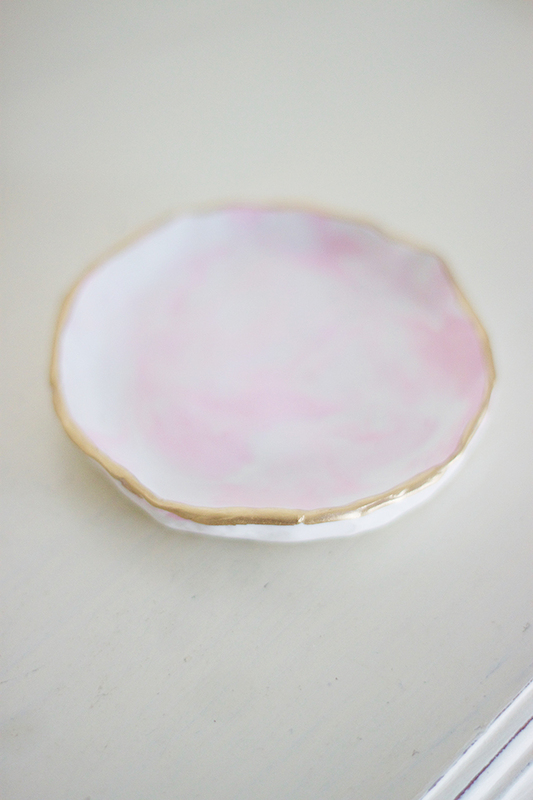 Once cooled, paint the edges of each tray with your gold paint pen. 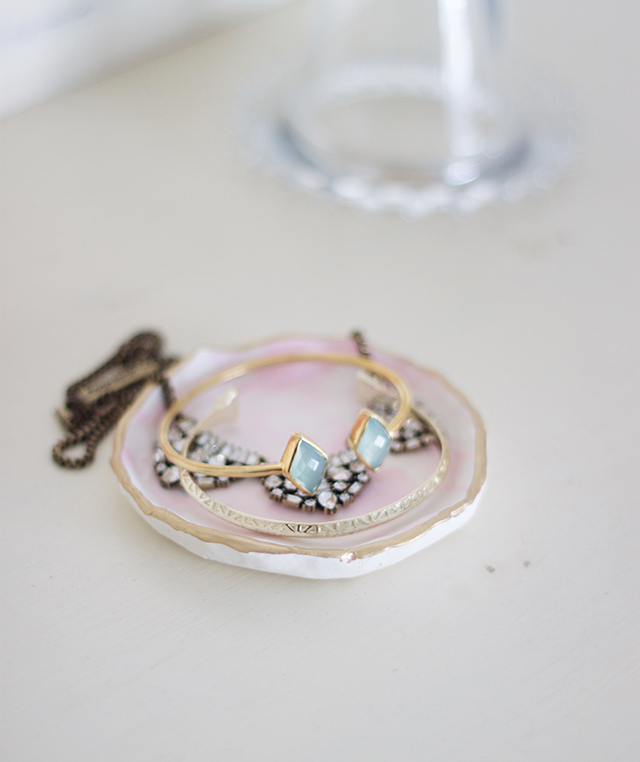 All of this gorgeous jewelry is from my subscription with Rocksbox. 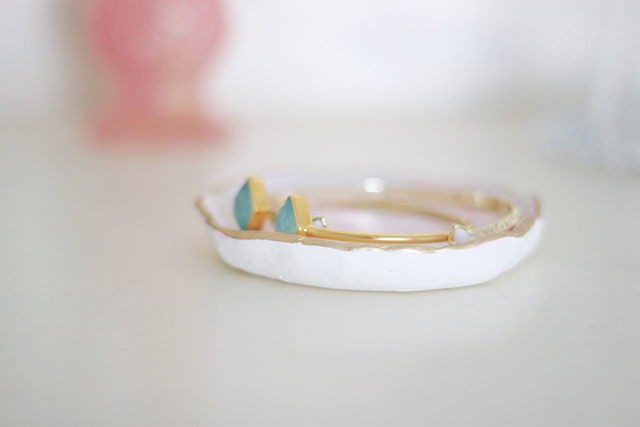 Appropriately named, each month (or more, depending on how often you want to get new jewelry!) 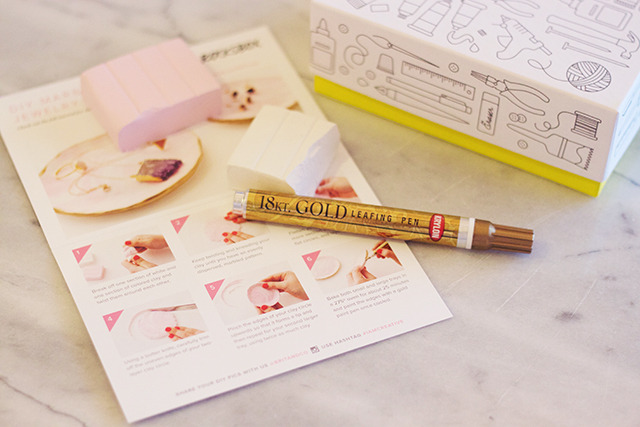 you will receive this cute little box in your mail box. Inside there will be 3 new pieces of jewelry for you to wear on loan until you decide you want to send them back (in a prepaid package) for 3 more new pieces. 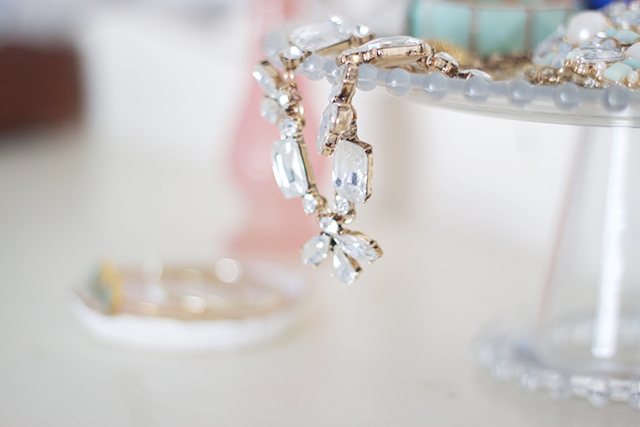 If you love an item of jewelry in your box, you can purchase the jewels at a discounted price. It's such a simple and fun process! Here's the best part: if you sign up using the code michaelanoelledesignsxoxo you will get your first month's box for FREE just to see how fun and easy it is. Isn't it fun? Which color clay would you choose? There are 4 options. 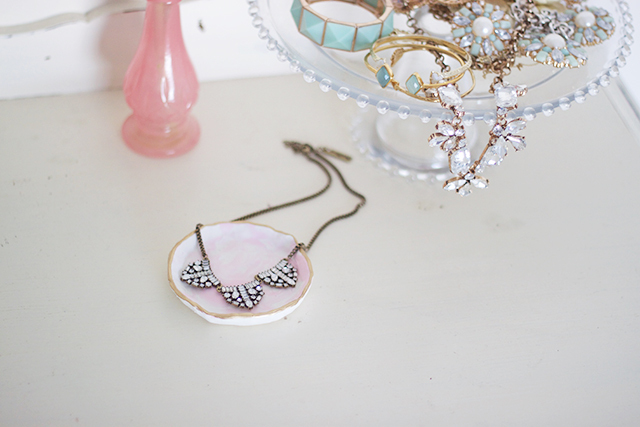 Make your own set of Marbled Jewelry Trays at home and show us how you would style them to match your own unique personality! Share with us on Instagram @rocksbox and @britandco using the hashtag #iamcreative. Can't wait to see if you make one. These dishes are so cute! I've seen a couple other bloggers make them too and I think I need one in my life!